Happy World Animal Day!!! 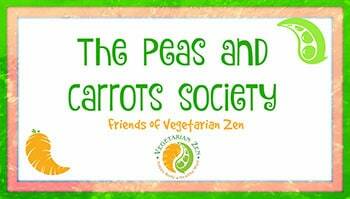 This episode of the Vegetarian Zen podcast is dedicated to animals everywhere! 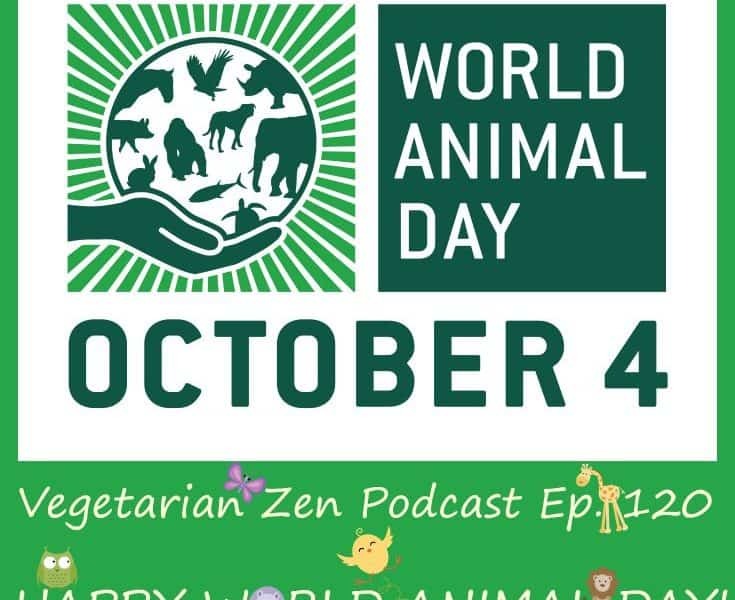 In it we share lots of information about World Animal Day: what it is, how it got started, and ways YOU can get involved. Not to hurt our humble brethren (the animals) is our first duty to them, but to stop there is not enough. We have a higher mission–to be of service to them whenever they require it… If you have men who will exclude any of God’s creatures from the shelter of compassion and pity, you will have men who will deal likewise with their fellow men. Previous Post: « Vegetarian Tacos! 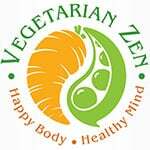 I have a question regarding veganism and eggs. Obviously, Vegans don’t eat any type of animal product, but I had a question about rescue chicken eggs. My friends recently rescued 2 chickens and have been lovingly raising them at home. Of course many people would say “if they were loved they be set free”, but we are in Los Angeles and there’s no way they would last long. Anyway, the chickens have been laying the most beautiful eggs, blue-green in color, just stunning. I’ve stayed away from eggs due to the horrible egg industry, but what about these eggs? I know that ultimately it’s my choice, but was curious on your opinion. Lastly, would you be able to direct me to one of your podcasts, if any, that discuss milk alternatives. I’ve loved almond milk for ages, but finally researched the process and saw how much water it takes to grow 1 almond…1 gallon  Aaaaah! 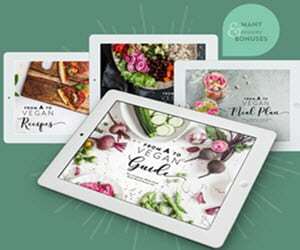 Thanks (or no thanks) to the movie “Cowspiracy” I’m researching everything I eat to see what type of impact on the environment it actually makes. I’m going completely insane doing this. I was addicted to milk (you can read about it in my post, Confessions of a Former Milk Addict). If you’re looking for some non-dairy milks to try, check out episode 078: The Delicious World of Plant Milks. You can also see how I make our own almond milk here: How to Make Almond Milk in a Vitamix. Regarding the “rescue” eggs…I wouldn’t have a problem enjoying them. Some extreme vegans argue that eating eggs is tantamount to murder (or abortion, as the case may be). We are not of that opinion at all, and agree with you that the issue with eggs is more about the inhumane treatment of chickens in many segments of the commercial egg industry. Your neighbors are caring for their chickens and it doesn’t sound as if they are in a position to be raising hundreds of chicks were the eggs allowed to incubate and hatch, so eating the eggs is fine! 🙂 Hope this helps!